What would a new year be without a post about exercising?! Before your eyes begin to glaze over and your mind goes numb at the very thought of reading one more word about get fit resolutions, just bear with me, as I hope to approach this topic from a slightly different and kinder perspective. Are you still with me? Good, let me explain. On Christmas Eve morning, I found myself in a local emergency room being treated for dehydration and a flare up of ulcerative colitis. It was the equivalent of a lump of coal in my Christmas stocking, and it definitely got my attention. After being given two liters of fluids and steroids through my I.V. , I was discharged with a list of medications and instructions to follow from the attending physician, along with a long list of changes to be made by yours truly. When I emerged from the hospital, I felt like Scrooge when he discovered the true meaning of Christmas. After months and months of neglecting my physical health, I finally understood the true meaning of what it means to have and enjoy good health. I was lost, but now was found. As I spent my vacation recovering, I devised a game plan for regaining the good health that I took for granted. So, my new year’s resolution to get back in shape goes far beyond the number on my scale or my dress size. When my health is compromised, as it recently was, I feel awful on every level, not just physically, and when I do not feel my best, I cannot give myself, or anyone else for that matter, my best at all. I end up short-changing everyone, either by not being able to be physically present or emotionally available, and that compounds the negative feelings that consume my body and mind. It is a vicious cycle. 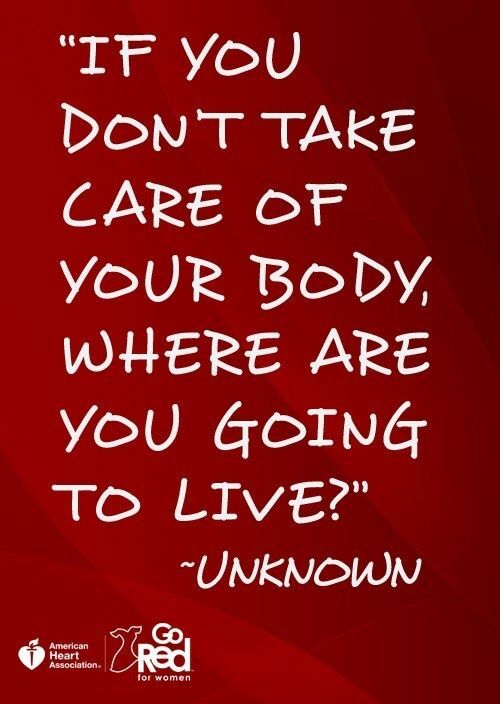 Today, though, I made my health a priority, as I have tried to do each day since my trip to the emergency room. It occurred to me that when I chose to honor my commitment to exercise and choosing healthy foods that I also was honoring my commitment to kindness this year. With every rotation on the elliptical machine, each repetition I did with the weights, and every drop of sweat, I felt empowered, strong, and ready to face the day ahead of me. When I chose fresh fruits and vegetables and lean proteins and quenched my thirst with water and hot green tea, I felt energetic, healthy, and satisfied. One healthy choice led to another healthy choice, and I noticed that my mood mirrored how I felt physically and impacted how I interacted with others. When I was kind to myself, it enabled me to be kind to others, and that definitely was my kind of day. Next Post: When This Couple Landed In NYC, They Never Expected This! I’m sick today and have lots of thoughts about the body. It’s actually kind of marvelous that the fever I’m working up is roasting the little invaders out. I am always in awe of how everything works, whether we understand it or not. And we definitely should take good care of what we’ve been given to live in. I hope that you are on the mend sooner than later, and may good health be yours in 2015! great blog! I feel so inspired just reading it! Thank you for such an awesome compliment, and I like to believe that we are all in this quest to be kind to ourselves and others together! Last Christmas I went to the hospital for kidney stones. I decided to never take my health for granted again. Went vegetarian and stopped drinking alcohol. Joey, thanks for sharing your story, and I hope that you find yourself in good health now! This definitely was a hard lesson learned, but I got it now. Your post reflects what i have been thinking of recently myself. I wish you well on your journey to health. Colline, thanks for taking the time to read this and for sharing your comments, as it always is nice to know that I am not alone on this journey. Happy and healthy new year to you! Just think if you hadn’t landed in the hospital what continued damage could have taken place. Good for you for taking it one day at a time and trying – that is more than most people ever do! Here’s to a healthy and Happy New Year – I can see your body smiling! Thank you so much, and you are right about that trip to the ER being a true blessing. It definitely happened for a good reason at just the right time, and I am so relieved and grateful to be feeling much better. Hope that your new year is filled with smiles and good health! Thank you! May yours be filled with wisdom and self-care – blessings! Ah, kindness to one’s self. I guess that we forget about that sometimes. I’ve followed this blog for a while, and I wanted to let you know I’ve nominated you for the One Lovely Blog Award. I hope that you heal quickly. Many thanks for your kind words and for the nomination! What a great way to start into the new year. I am so glad you are not only better but even found out what is the key to a better quality in your life – very good role model. Thanks so much, as I hope to continue to reclaim my health and to be back in shape on every level. Here’s to good health in body, mind, soul, and spirit! .I am glad you are feeling better and are focusing on taking care of yourself as you care so much for others. Thank you for the inspiration. I too have allowed my eating habits suffer and a small fracture in my ankle has prevented me from doing the exercise I would have liked to participated in over the last couple of months. Here’s to self care my friend! Sorry to hear about your trip to hospital and I do hope that you are feeling better. I too am prioritizing my health in 2015. Glad to know that we both are putting ourselves and our well-being first this year, and I hope we enjoy a very happy and healthy year!